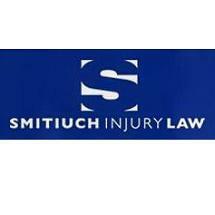 Smitiuch Injury Law is dedicated exclusively to helping individuals and family members of those who have been seriously injured or killed in life altering accidents. Such accidents include car and truck accidents, motorcycle accidents, slip and fall or pedestrian accidents. Serious or catastrophic injuries can include spinal injuries (broken back, broken neck, herniated disc, paralysis), brain injuries, burns, scars, disfigurement, amputation, shoulder injuries and broken bones. Personal injury, permanent disability or wrongful death can be devastating and can disrupt your personal and professional life. We can help you! We have achieved tremendous success for our clients in a variety of personal injury areas. If you have been wronged, you deserve justice and to be properly compensated. If we cannot reach a fair and reasonable settlement for you, we are ready, willing and able to go to trial. We know that clients want someone to listen to them. We offer all the advantages of a large litigation firm, with the personal touch of a small firm. We listen to each client and we are attentive to their concerns and needs. We have offices in Toronto and Brantford and represent clients throughout Ontario and North America including Etobicoke, Mississauga, Scarborough, North York, Newmarket, Markham, Brampton, Milton, Oakville, Hamilton, Brantford, Port Dover, Paris, Simcoe, Waterford, Woodstock, London, Kitchener, Waterloo and Cambridge. The cost of legal services can be a major concern to individuals and their families. At our Law Firm we understand your concerns and that is why we offer free initial consultation and our legal services on a Contingency Fee basis. A Contingency Fee is a percentage of the money or compensation we obtain for you and it is paid at the conclusion of the case.